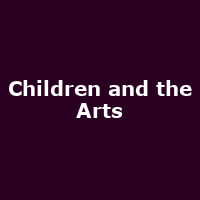 Children and the Arts' stated aim is to reach out to the many children who are denied access to cultural venues. "Thousands of children leave school having never set foot in an art gallery, watched a performance in a theatre, or listened to an orchestra play. We know that early engagement with the arts has a positive impact on young people: raising aspirations, increasing confidence, improving communication skills and unlocking creativity. We champion the power of the arts to transform lives and strive towards a future where all children in the UK gain access to the arts."